About - TRF woodcrafts Ltd. In 1992, TRF woodcrafts started in Campbell River, British Columbia as a part time Custom Cabinetry Shop. The love of creating and building led the company into extensive, complete home renovation projects. One day, wanting a bit of a change from taking an old house and making it into a new house, Todd said to Anne, "We should built a new home from scratch". So in 1998 the company built their first Spec Home moving them into new construction. To date we have built over 50 Custom and Spec Homes in the Campbell River area. We take a very hands on approach to every project we commit to and are involved in every aspect of the building process. Where we are not directly working on a job, we work closely with our Certified Trades to guarantee that the quality of workmanship meets our high standards. We do not compromise on quality, no matter the budget, and will not build a home we would not be proud to live in with our own family. 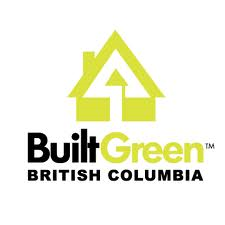 As our company President, Todd became a Certified Built Green Builder in 2010. The first homes he built green, tested and registered both received exceptional Platinum ratings, an accomplishment he worked hard at achieving and one we take great pride in as a company. Whether you are in the initial stages of looking for a house plan, a lot, exploring the benefits of Building Green or looking to buy a Quality Spec Home, we would love to hear from you and answer any questions you have. Contact us today and experience the refreshing difference of doing business with a family owned and operated local company whose wish is to see you in the home of your dreams, not just a house.